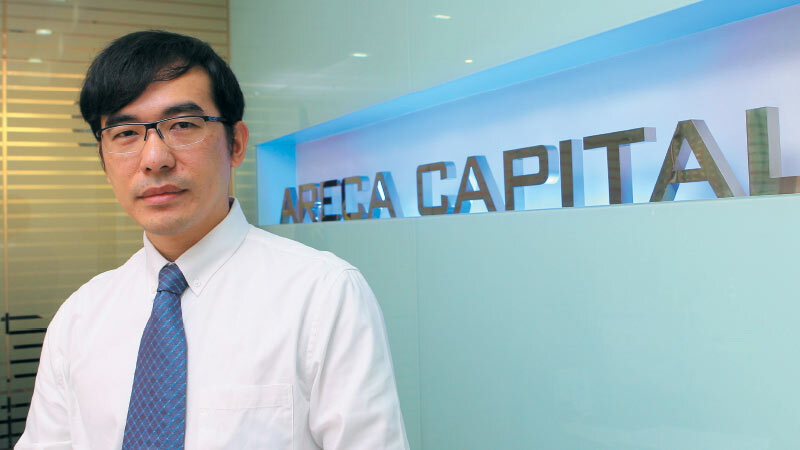 After 13 years in fund management, Areca Capital Sdn Bhd CEO Danny Wong Teck Meng is ready to expand the company’s offerings. He wants to build up its wealth management arm and provide personalised advisory services to the mass-affluent segment. By doing so, Areca will be the first local boutique fund manager to introduce such services. “The new way to grow one’s wealth is not just through investments. It is more than that. You need to manage the risks in your investments and finances. That is why we believe it is important to have advisers helping you do that,” he says. Areca began hiring more licensed financial planners in 2017. It currently has 15, but Wong intends to increase this to 50. This push into wealth management comes as the mass-affluent segment grows in Malaysia. While foreign private banks are already serving the ultra-high-net-worth segment, Wong believes there is a gap in serving those with a total net worth of RM20 million to RM50 million. “There is a vacuum in the country because many bankers at local banks are not qualified or licensed [to provide financial advice]. There has also been a high turnover of bankers. The banking industry has a lot of key performance indicators, so it is not really able to do what we are doing in terms of flexibility,” he says. Wong is not the only one to notice this trend. According to Knight Frank’s Wealth Report 2018, the ultra-high-net-worth segment in Malaysia is expected to grow by 65% by 2022. In 2017, there were 7,100 individuals with a net worth of more than US$5 million (RM20 million) and 310 with a net worth of more than US$50 million (RM200 million.) Standard Chartered Bank Malaysia and OCBC Bank Malaysia are among those that have been targeting the mass-affluent segment in recent years. RM4 billion); corporates and small and medium enterprises; and technocrats and the emerging affluent from the younger generation. He is confident that the company’s standing as a smaller fund house will help it to serve its customers better. “We do not distribute products to mass agencies or banks, as evidenced by our small number of investors. We are independent, so there are no potential conflicts of interests when it comes to recommending products or strategies. We function on an advisory-based model rather than a product-pushing one,” says Wong. Technology has disrupted the wealth management industry by giving investors direct access to unit trusts online and robo-advisors that manage portfolios automatically based on the users’ personal preferences. But wealth advisers are still highly sought-after by the affluent, Wong observes. “They do not mind paying the fees because they believe they can make more than enough money to cover the fees. For the high-net-worth individual, would you risk putting your RM5 million anywhere? You still need advice. An investment is something that needs to be sold with advice,” he says. But Wong does not want the advice to be commission-based as this may impact the quality of service. Instead, Areca’s financial advisers will earn more from the annual management fees than the commissions for selling funds. The annual management fees are on a par with the industry’s standards while the commissions are set at 1% to 3%. “Our financial planners are hired as staff, so they get a salary. They do not need to charge a 5% fee for the funds. They will have a share of the annual management fees, which is a bigger amount, so they get incentives from servicing the client. By making sure that the clients stay with them and that their portfolios grow, the advisers will get more benefits than by doing short-term, fund-to-fund churning just to get more returns from fees,” says Wong. Areca is able to sell the unit trusts of other asset management companies via its online platform, either on its own or through an adviser. The company uses a formula to screen the funds and select those that qualify to be part of its clients’ portfolios. This process is done every six months. Areca’s funds also go through the screening. “The formula is consistent. We subscribe to Lipper and other data providers. We look at Sharpe ratios, downside risks, the quality of the fund manager and if there has been a change in fund managers over the past three years, for example. Several categories of funds will emerge from the screening. Areca’s funds will not necessarily appear as a recommendation for clients. We then give investors the option to invest in those funds,” says Wong. The categories of funds cover asset classes such as fixed income, local equities and foreign equities. In addition to financial planning, Areca’s wealth management services will include estate planning and tax advisory. Apart from improving the company’s advisory services, Wong wants to incorporate technology in its wealth management business. One way is to equip its advisers with tools that will help them service their clients better such as undertaking a paperless onboarding process. Areca already has an online investment platform for clients. Those who want to invest small amounts will be able to go through an e-know your client (KYC) procedure, but high-net-worth individuals have to do it in person with their adviser. “In six months, when Areca is ready for onboarding, the team will be able to perform the e-KYC for those investing below a certain amount because there is less risk. We may run into anti-money-laundering risks with those investing bigger amounts,” says Wong. He also wants to introduce blockchain technology. This is a long-term project that will create transparency and efficiency in transactions, he says. “Blockchain is like a photocopy machine. Whatever information I have on the blockchain cannot be changed, so it becomes very transparent. It is also very timely as I do not need to report to various parties. I can just put the information on the blockchain for our stakeholders, trustees and investors to refer to,” he adds. For instance, if one buys a bond, information such as the bond tenure, price, amount purchased, issuer and guarantors will be on the blockchain. All the stakeholders will have access to the same document, so they will know if any changes have been made or whether the transaction has been settled. Also, there will be fewer errors made as there is only one version of the document. “But this is a future technology because everyone must agree to come on board my blockchain. If you do not agree or you have your own system, then it cannot work. Trustees and banks may not want to do so because they have their own operating systems. There is a long way to go, but we want to do this,” says Wong. Danny Wong, CEO of Areca Capital Sdn Bhd, observes that many factors could negatively affect the markets this year, particularly those that involve the US and China. Valuations in the US market are currently high and many companies are still highly leveraged despite the US Federal Reserve tightening its monetary policy. “Last year was a good one for US corporates because they got a special tax cut. Had it not been for that, I don’t think corporate earnings would be what they are now,” he says. Meanwhile, China’s economy is slowing down, which Wong foresaw. “Growth of 2% or 3% for an average developed market such as Japan, the US or Europe is already very good. You cannot expect 6% growth [like in China] anymore, so naturally they have to slow down,” says Wong. The world’s second largest economy has to focus on maintaining financial stability. Its statutory reserve requirement of 15% is a cushion that can release liquidity into the market if needed, he adds. Regardless of these factors, the engine of growth will still be Asia, which saw massive sell-offs last year. This means the valuations of equities in this region are more attractive than in the US, says Wong. Also, the region continues to see high GDP growth rates. “I will still go to Asia because the growth is decent. Malaysia continues to see 4% to 5% growth. Where else can you find that?” he adds. It is hard for Wong to predict what will happen after the first quarter of this year. Malaysia’s outlook will continue to be influenced by politics, he says. “The performance of large-cap stocks will be subject to policy changes. Just look at Tenaga Nasional Bhd, for instance. As for the Tabung Haji case, it will affect a lot of big caps because they have holdings in these companies,” says Wong. He likes some small and mid-cap stocks, especially companies that are easily able to improve their earnings by restructuring or closing down plants, for instance. “Some of the stocks to look at are Inari Amertron Bhd and Press Metal Bhd,” says Wong. The flexibility in selecting large, mid and small-cap equities, as well as bombed-out stocks, was the reason some Areca funds performed well last year, he says. For instance, according to Morningstar data as at Oct 31, wholesale fund Areca Dynamic Growth saw a year-to-date return of 31.63%, outperforming all of its actively managed large-cap fund peers. Meanwhile, its Areca equityTrust Fund was ranked No 1 in the Lipper Fund Table’s 3-year and 5-year categories as at Nov 30. “Today, we have four themes in our equity unit trusts. One is export-focused, which includes glove companies. The others are manufacturing, consumer and bombed-out stocks. There are no construction, property, utility, telecommunications and airline counters,” says Wong. Whether he would consider adding exchange-traded funds (ETFs) to client portfolios, Wong says he would only do so temporarily as a strategy and if it made sense. ETFs track indices, thus their returns are tied to the performance of the underlying indices. But in relatively inefficient markets such as Asia, where information flow on listed companies is not perfect, Wong believes that active stock picking is needed. “[The use of ETFs in portfolios] is thematic. I still want exposure to [that market], but I know there are a lot of uncertainties. So, I buy big caps. It is a more defensive strategy. It is not that ETFs are better than active funds, but they are very volatile. When there is an uptrend, the ETF goes up. But it will follow suit when the market is on a downtrend,” he says. The test for ETFs will come during a bear market, he adds.